Using the same specially developed formula, TRM 2:2:1 Superlyte Paste is a fast-acting electrolyte booster, ideal for immediate post-competition/exercise recovery. In an easy to administer syringe, this delicious paste come in palatable peppermint and molasses flavour. 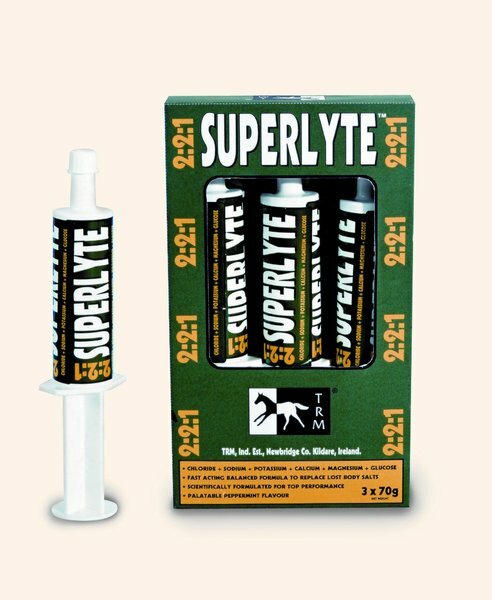 There are currently no questions for TRM 2:2:1 Superlyte Paste for Horses - be the first to ask one!